Just a few random shots from our weekend trip. Although our hotel rooms were on the third floor, when I awoke Sunday morning, I heard ducks quacking. You may recall that we have several here at home that love me visit me for food. 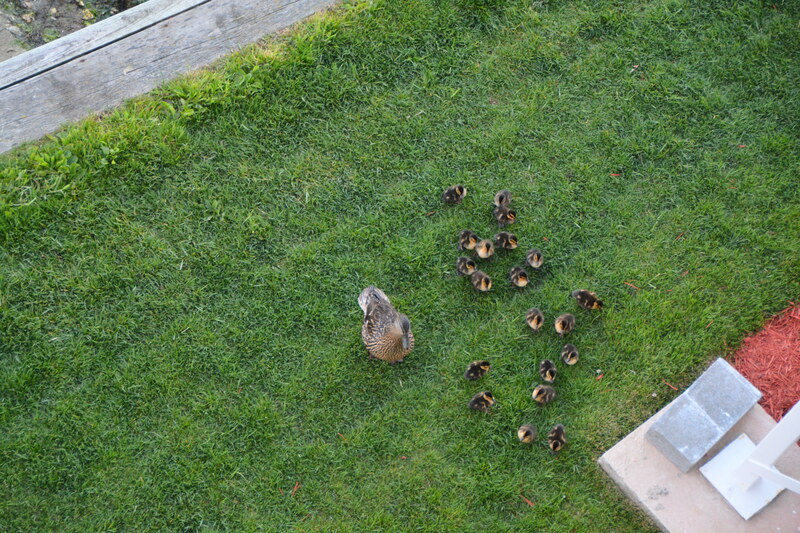 I went to the balcony, and saw two female ducks with several ducklings. One duckling had gone astray, and a mama duck was trying to corral him; that was the reason for all the quacking. 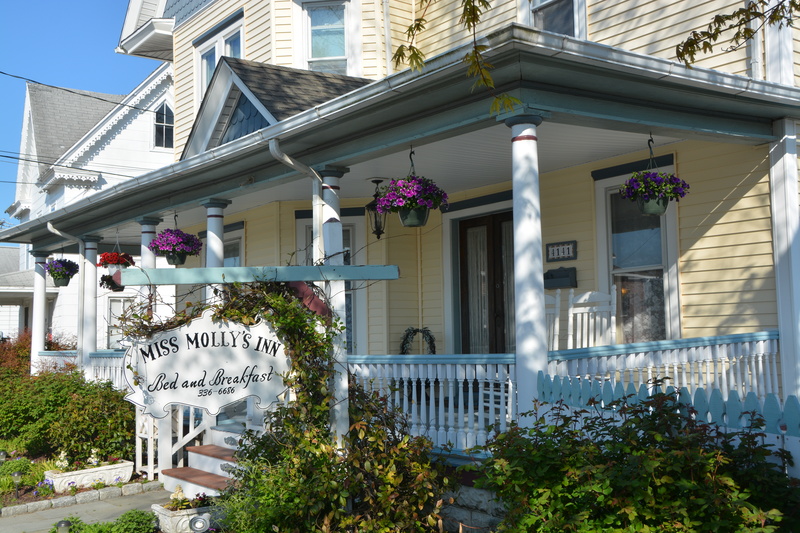 After breakfast at the hotel, we took a little walk down the street and passed Miss Molly’s Inn Bed and Breakfast. Isn’t it charming? Many of you mentioned that you recall reading the children’s book Misty of Chincoteague. 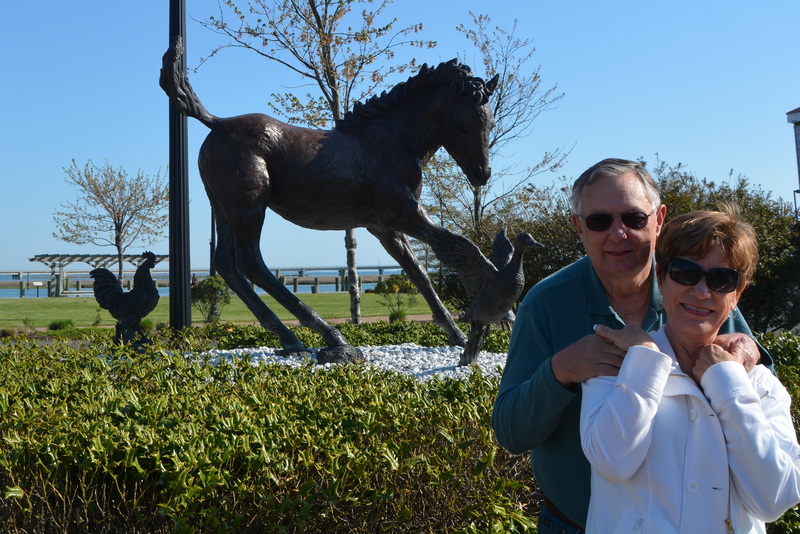 There’s a statue of Misty in downtown Chincoteague, and we had our pictures taken with her. 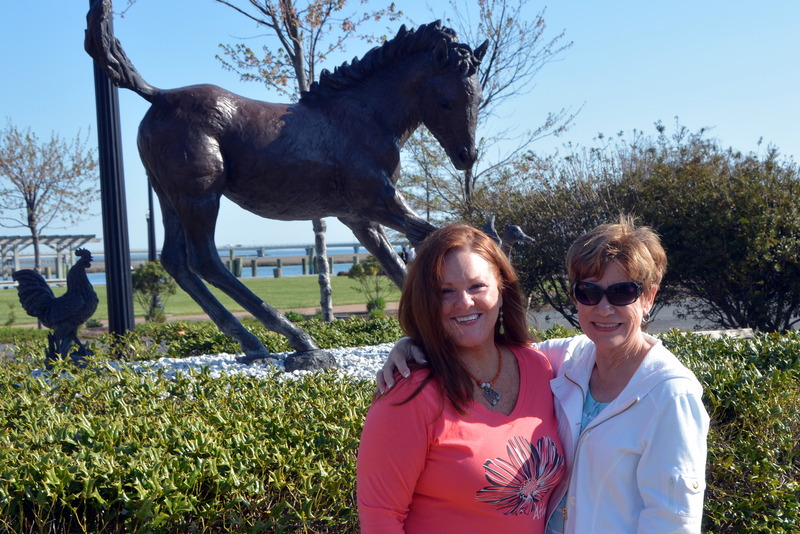 When Donna and I were little girls, reading the Misty book, visiting Chincoteague was something we never imagined we’d ever do. 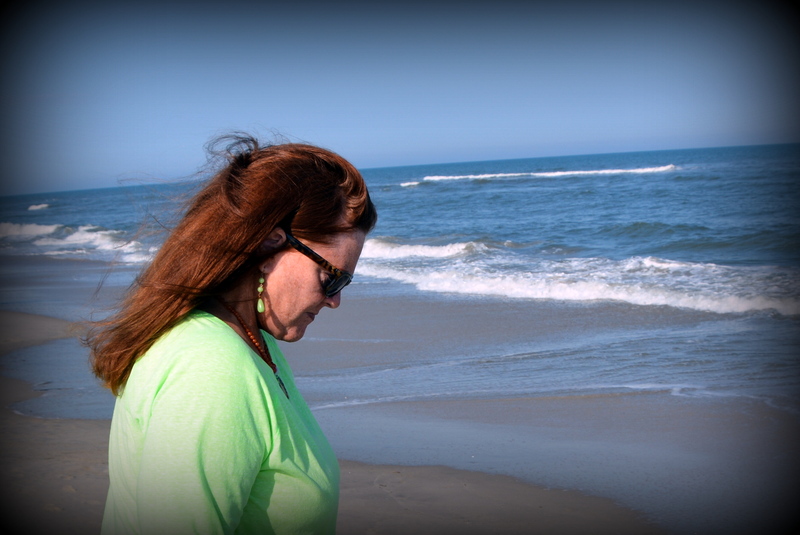 Our weekend included a little walk on the beautiful beach at Chincoteague. I love Donna’s red hair! She was scanning the beach for sea glass when I took this picture. See? I did manage to write a post about Chincoteague without a single picture of a (real) pony.